Anyone know of a good digital incidence meter or app? I’ve got the Robart needle meter but it’s sticking. I’ve asked Robart if they will send any new jewels. 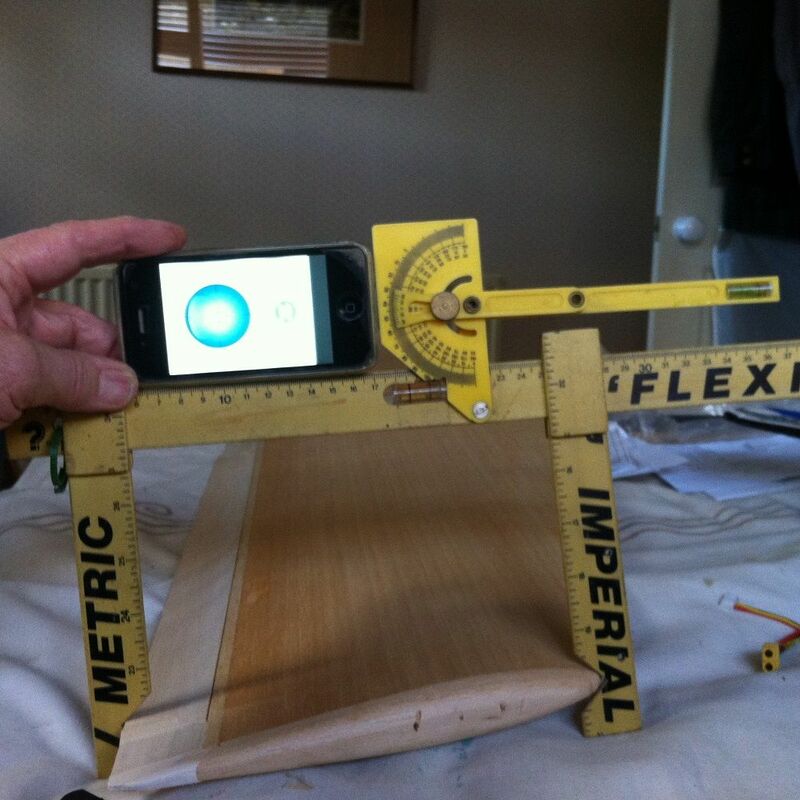 Wasn't there an article in the mag a few years ago which described how to build your own and used the Clinometer App? I built one and it works very well. Looks very similar to the one in the photo. I've tried using an app but I don't think it's as accurate or repeatable (same thing really) as the Robart incidence meter. I think the other problem is that the phone edge can be difficult to align properly with the inevitable buttons sticking out of either side. Robart do a digital version as well but I have to say that I prefer the analogue version myself. Having said all that, unless you are going for great accuracy then using a less than perfect tool may be OK but don't expect too much. Thanks for the input. As I say, I’ve already got the Robart analogue meter. So I’ve got all the brackets and two different bar lengths. I’ve seen THIS on eBay , I just wonder if I could sit it on top? How good are these things? 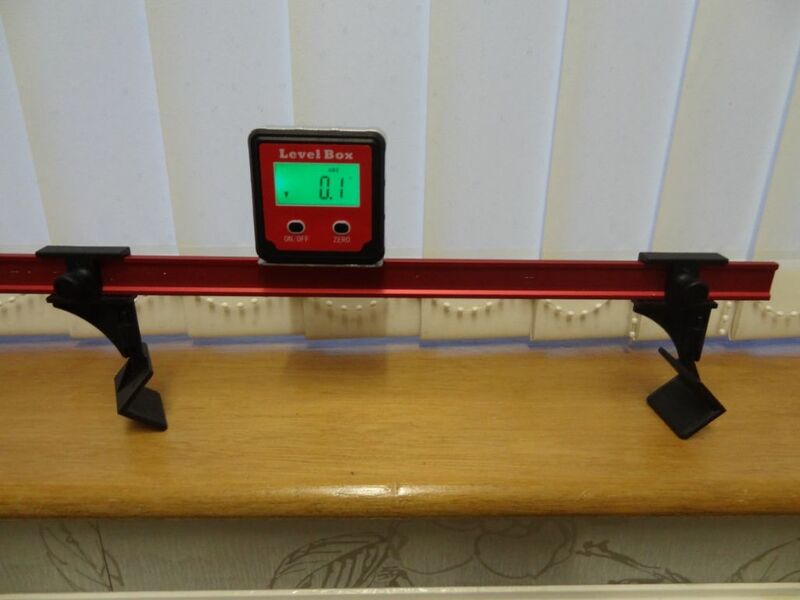 I have bought one of the ebay inclinometers, slightly different to the one you linked to, see here. This has a magnetic base as do many of them, so I fastened a small steel sheet (galvanised) onto the top of the measurement rail with epoxy. It works a treat. Set up all the flying wires on my Tiger Moth with this. I did initially set my Tiger Moth rigging up with my android tablet using the "Clinometer + bubble level" app, but found that the weight of the tablet was significant. I also found that over a long period of use as the tablet warmed up, the zero drifted and it was not repeatable. I removing the case to clean it , one of the jewels has popped out to goodness knows where...]<$€}¥<~] . I’ve found ....THESE.... on eBay so there’s a good chance of a match. It’s worth a shot. The holed jewels arrived. All far too small for the naked eye to see. Never mind , I know someone that will make use of them. Ended up buying a digital inclinometer, should arrive tomorrow. I will post on here how it looks and how easy it is to use. I made a crude, but functional, one from Depron, uses a swinging needle. 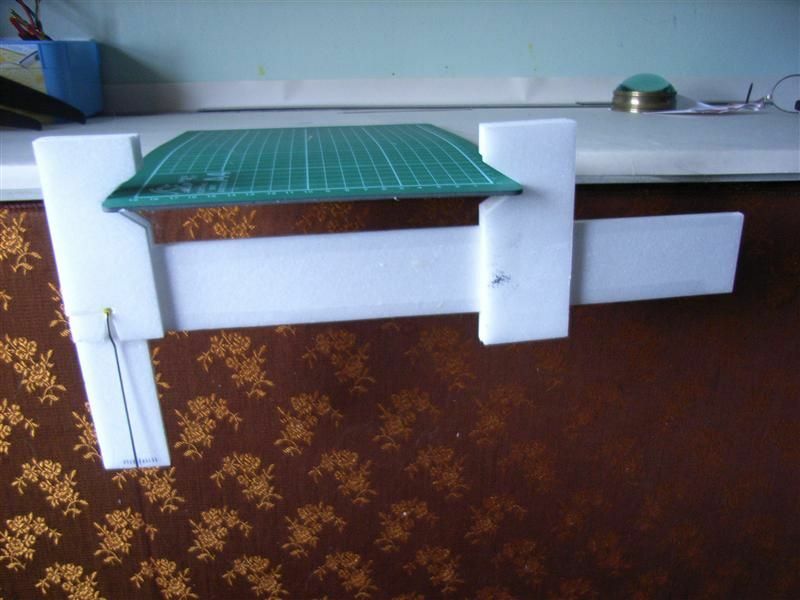 It's light enough to slide along a wing out to the tip without causing any distortion. No, that's not one of my wings, just a cutting board for photo purposes. £10 royalty payment for use of trade marked patent pending design although I note your bar is gold not red. Hope it works out for you. 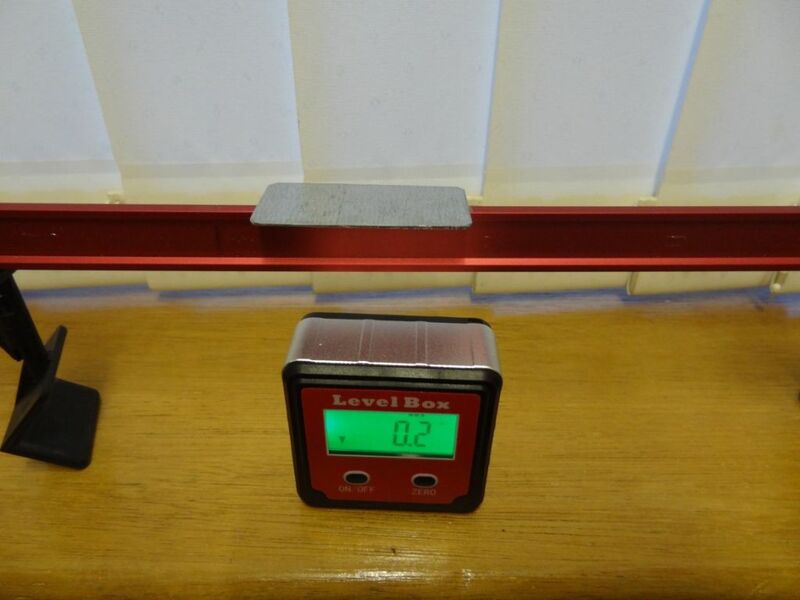 Easy to set and the steel glued onto the bars is enough to hold the magnetic base while sitting flat on the bar.